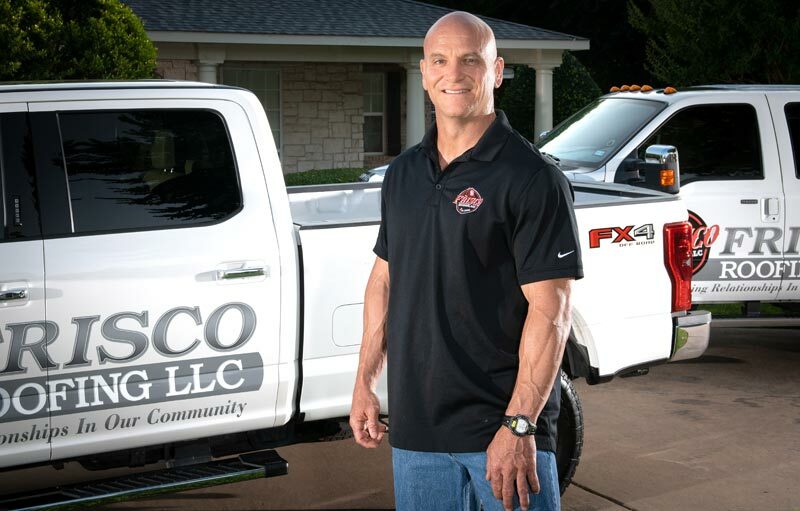 Wes has over two decades of experience in construction and is a lifelong resident of Frisco. His family roots in Frisco began over 100 years ago, his great grandmother was present when the first lots were sold to form the town in the early 1900’s. He has many years of satisfied customers who continue to refer him because they recognize his main focus is on providing the best quality product and customer service is always more important than the dollar. Wes is married to Carrie and they have a beautiful daughter Callie. Wes is a career firefighter and currently a captain with over two decades experience in the fire service. Wes is an active member of First United Methodist Church in Frisco. 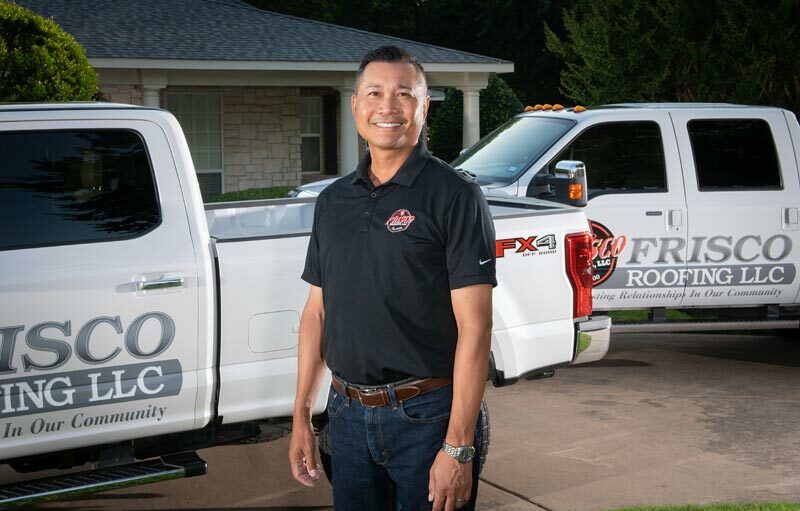 Tino Paredes Joined the Frisco Roofing team in 2015 and has been a firefighter for 20 years and is currently a battalion chief. Tino brings a wealth of knowledge and has over 20 years in construction. 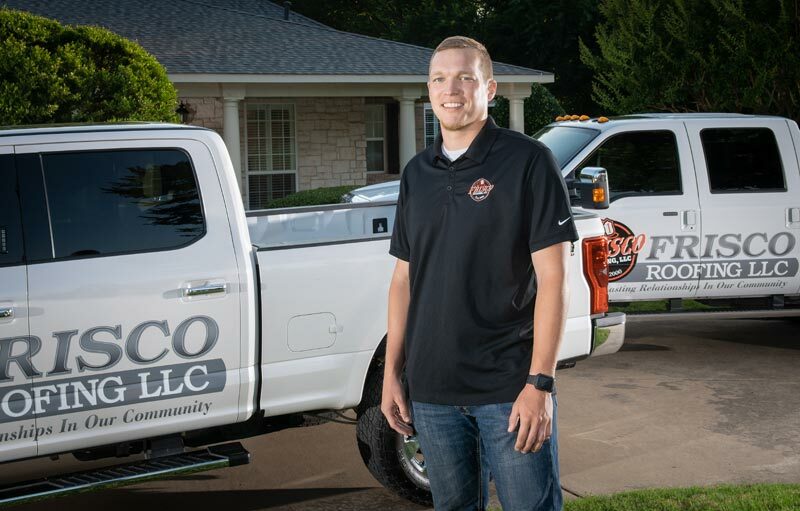 Tino is married to Keri and they have two children, his son has just followed in his dad’s footsteps and got hired on as a firefighter….we hope he will join us on the Frisco Roofing team someday as well! Joel is the man behind the scenes keeping the business running as the office manager for Frisco Rooing. Joel is a retired business executive with 28 years experience working for the government serving the Army and Air Force before retiring in 2016. Joel is married to Sara and they have a daughter Stella. They have been Frisco residents since 2003. Joe is a lifelong resident of McKinney. He is married to Jordain and they are expecting their first child. 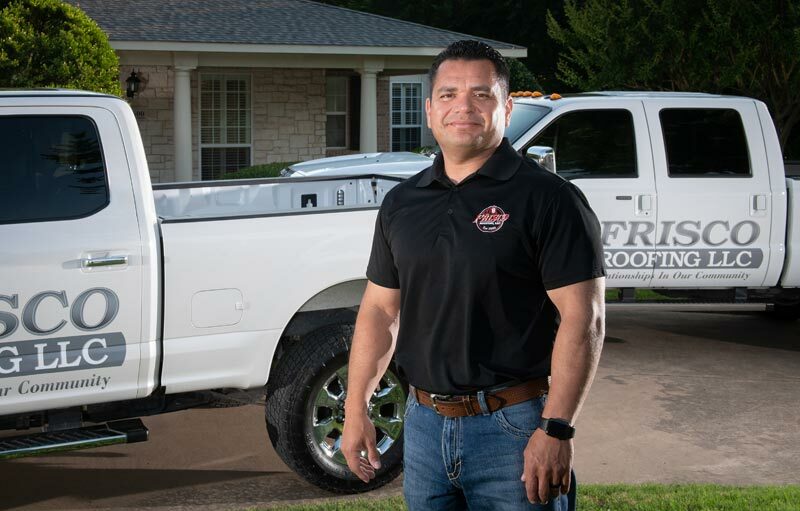 Joe joined the Frisco Roofing team in 2017. Joe is a firefighter with over 10 years experience in the fire service. Joe takes pride in customer service, professionalism and treating each house as if it were his own. Joe is an active member of First Baptist Church in McKinney. 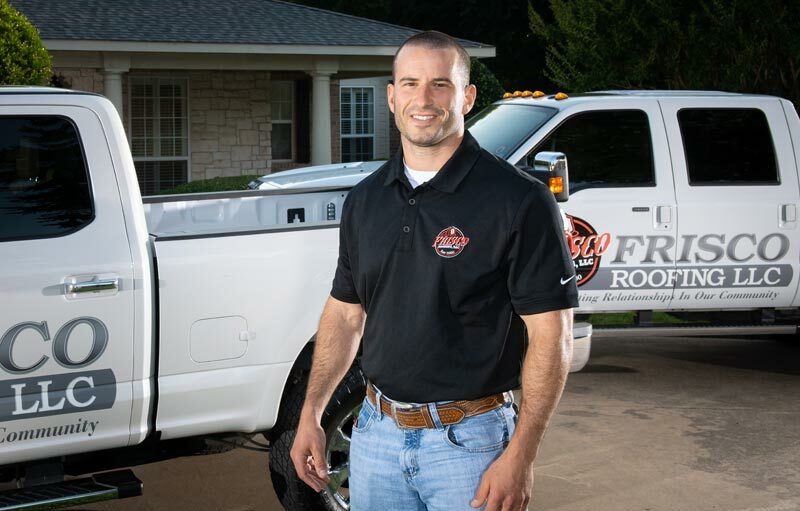 Wesley joined the Frisco Roofing team as a laborer and advanced to project manager and sales. Wesley has supervised the installation of over 200 roofs. Wesley is an Austin College Alum where he was a member of the football team. Wesley has begun his first year as a Teacher and Coach, but will stay on as a part time/seasonal employee of Frisco Roofing. Wesley and his wife Morgan are residents of McKinney. Russell is married to an Army pilot and has 4 beautiful children. Russell was a natural fit for us being he is hard working and is an honest business man with hundreds of customers who love him. 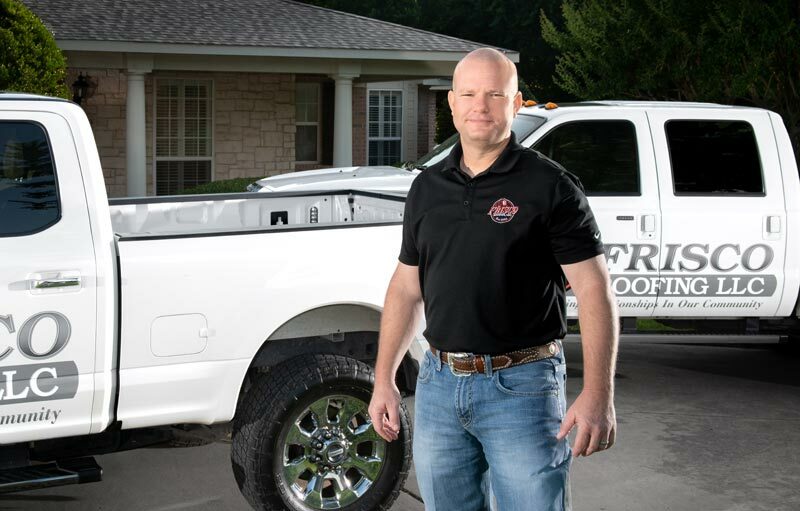 In addition to being a firefighter, holding the rank of driver, and in the roofing business, Russell has professionally hung Christmas lights for 18 years. Russell stays busy on his time off and competes yearly on the national and world level in the firefighter combat challenge where he holds a world record and widely know across the country in the sport. He has a bachelor degree from University of North Texas. 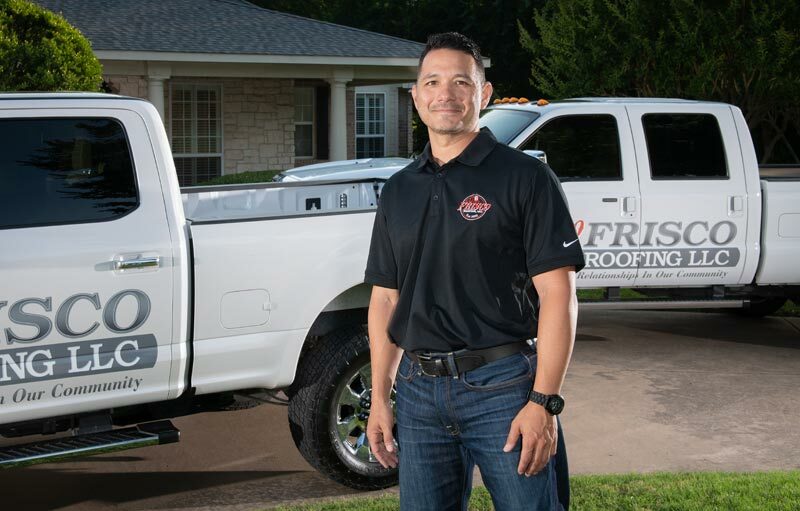 Phillip Alvarado is our newest member to join the Frisco Roofing team. He’s been a firefighter for over 12 years. Prior to joining the fire service Phillip served in the US Navy. Phillip is married and has three children. On his off time he enjoys spending time with his kids and running half marathons with his wife.